Michael Fassbender embodied the perfect gentleman in Tom Ford. 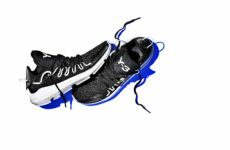 Bryshere Y. 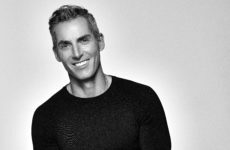 Gray earned double the style points with his double-breasted jacket, superbly tailored by DSquared2 and this awesome pose. 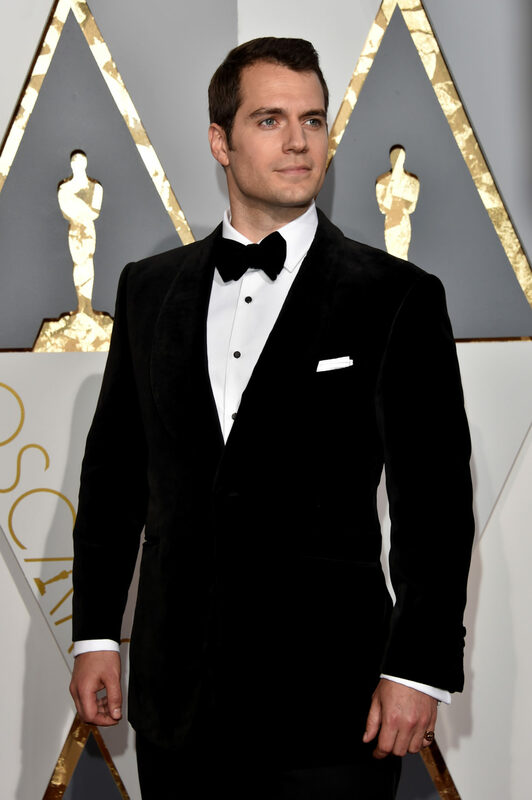 Just weeks from the worldwide release of Batman V Superman; Henry Cavill channels the Man of Steel in a velvet tux jacket and bowtie. Ryan Gosling closed out the 2016 award season perfectly in a classic shawl collar tuxedo jacket and white silk bowtie. 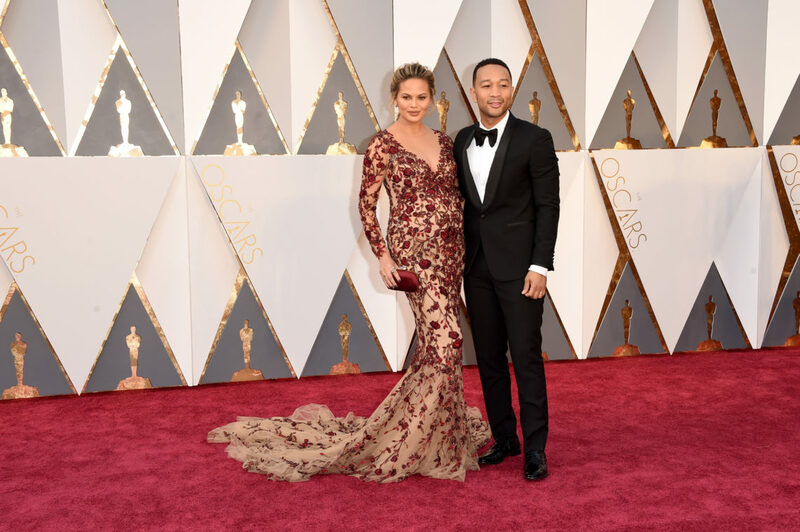 I love a power couple; and John Legend & Chrissy Teigen brought the style power to the red carpet at the 2016 Oscar red carpet. e always-handsome Legend wore Paul Smith and wife Tiegen glowed in a lace Marchesa gown. 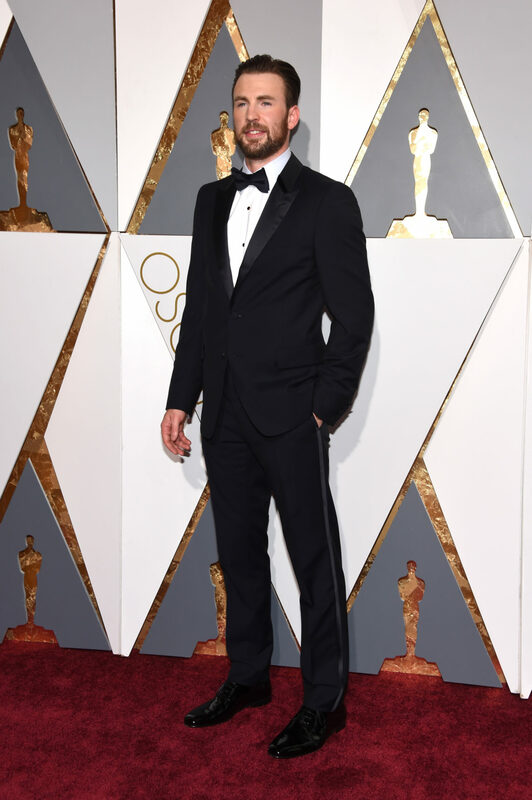 Chris Evans is dashing in black tux and beard. We like clean cut on the red carpet, but Captain American can do no wrong when he suits up. 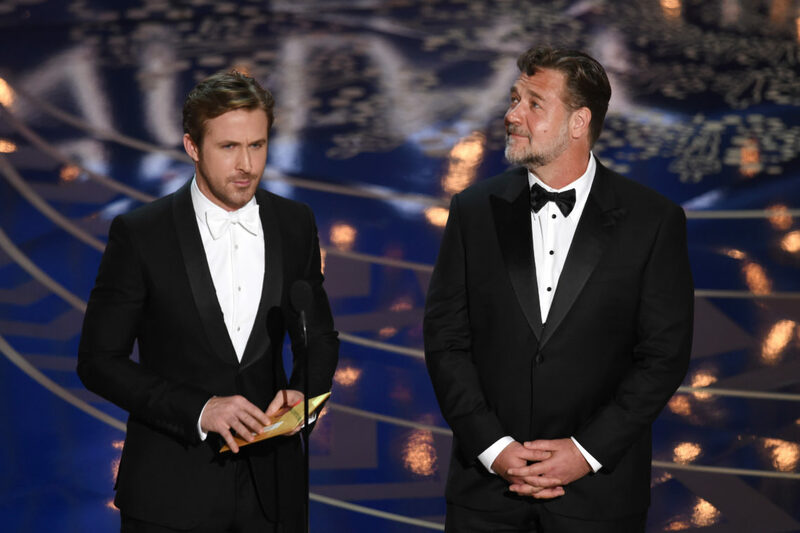 Ryan Gosling & Brad Pitt presented at the 2016 Golden Globe Awards in well executed Black Tie; Gosling in a white dinner jacket; and Pitt in a Navy tuxedo.